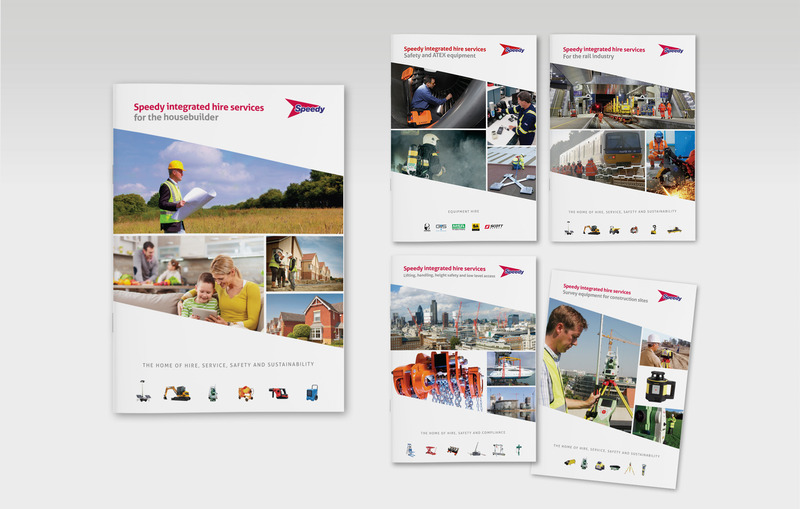 Speedy boasts one of the largest fleets of equipment in the hire services industry. 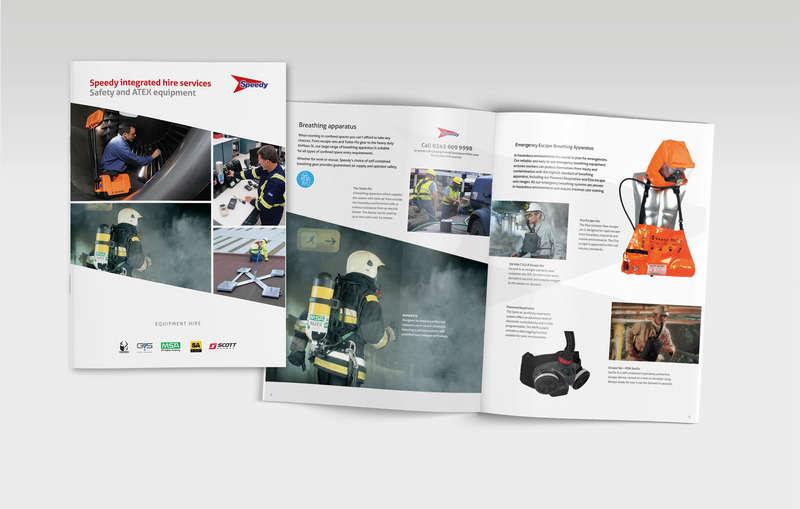 From straightforward hand tools to complex power, fuel and lighting solutions, there’s little the company can’t deliver to the building site. But breadth and depth on such a scale brings its own problems. So to make it easier for customers to plan and allocate their resources, Speedy took the decision to align its services with its most popular and profitable vertical sectors. 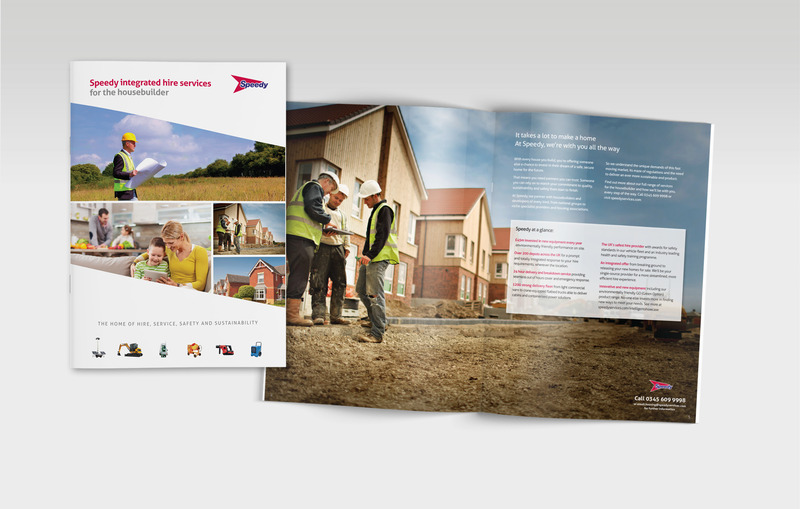 DGR were asked to create a series of brochures supporting Speedy’s Integrated Services in the Lifting, Housebuilding, Rail, Survey and Safety markets. 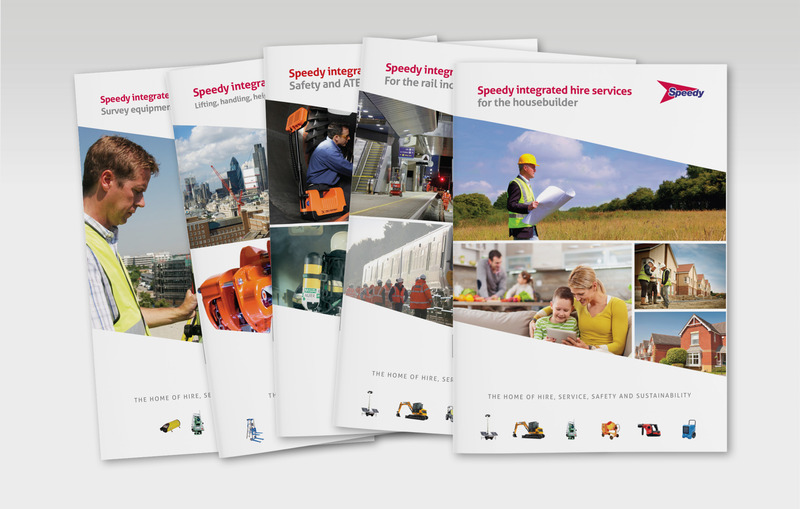 Each one detailing Speedy’s approach, experience and expertise and offering an overview of the equipment and services available to builders and contractors. 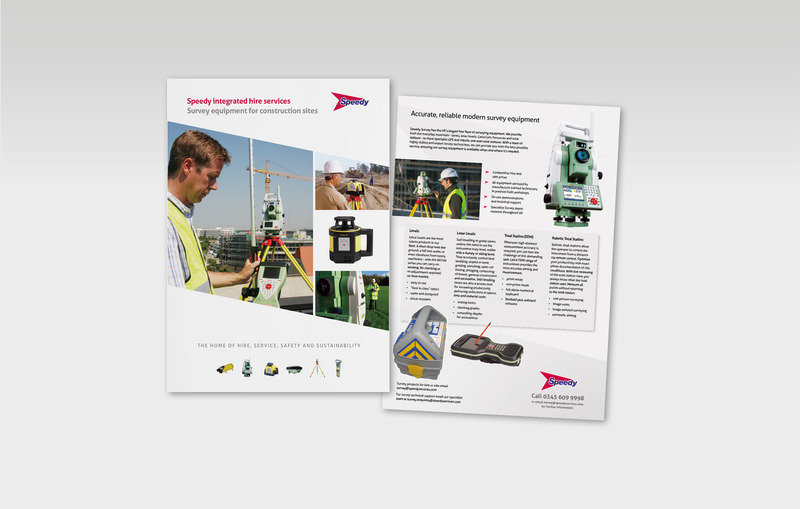 We created a template design, based on the dynamic angles of the Speedy arrow logo, and used it to bring consistency to a wide variety of images – some from Speedy’s asset library, some from suppliers’ own sources and some from stock. 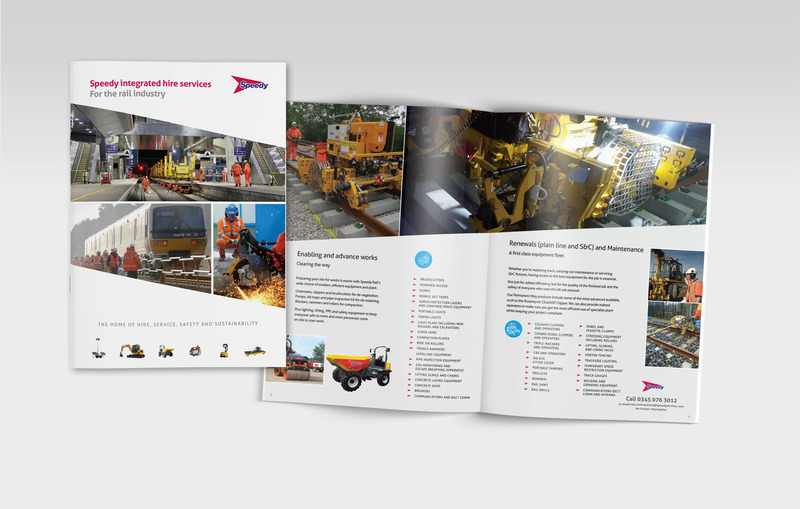 The result was a suite of literature that succeeded in organising the vast range of services available from Speedy into an easily accessible set of print collateral. 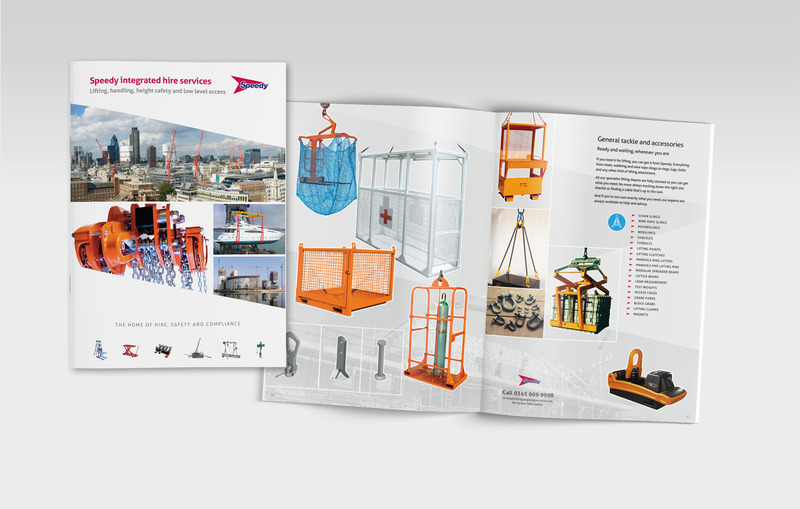 Sales team members were then able to select the specific information customers had requested instead of sending out the whole catalogue each time, saving on print and distribution costs while providing a more tailored response to enquiries.